The Customizable RF Switch Matrix with Ultimate Flexibility! Look at Our History – Look at Our Customization Capabilities; No One Beats Corry Micronics! 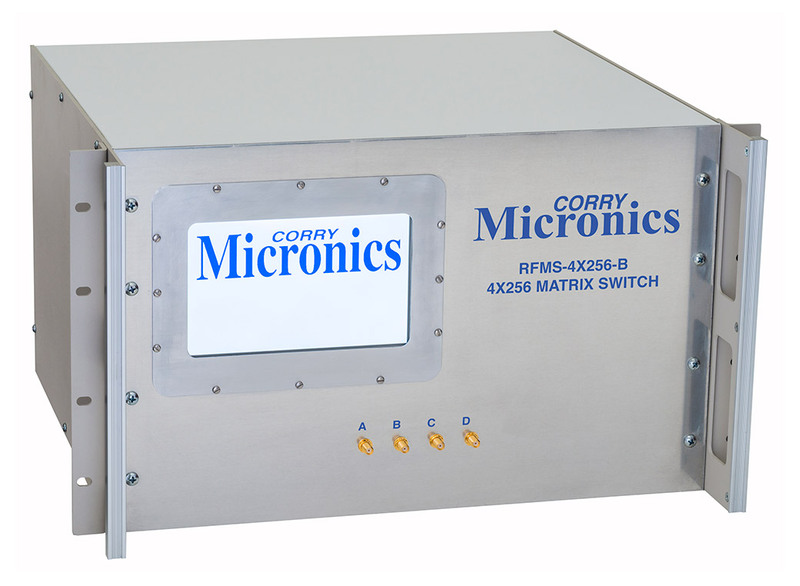 Designed by the same RF experts who built the first CATV remotely controlled RF agile monitoring system – With that kind of history and know-how, you can count on RF Switch Matrices from Corry Micronics. Whatever you need – it’s engineered and built here! As with all of our customized solutions, we will engineer your RF Switch Matrices to the same demanding standards with which we build all of our components, and then test them to your specifications, giving you the same confidence and reliability our other customers have come to enjoy for over 40 years. But don’t worry; “custom” ≠ “expensive” at Corry Micronics! Fill in the details above, or call 724-940-7556, Ext. 138 to talk to your solution expert! Give us your Specs for your Customized RF Switch Matrices and Get Fast, Competitive Pricing!